Are you going to be a new mommy, this is an amazing news. Relax you don’t have to get tensed and worried about your first month of pregnancy diet. Now it is very important to maintain a nutritious and balanced first month pregnancy diet for healthy mother and baby. You must have checked and memorized all the possible do’s and don’ts on how to take care in first month of pregnancy but still feel confused. Pregnancy first month time is the best and also worst. Because there are a lot of hormonal changes happening in your body. This will make you very happy and ecstatic at one moment and irritable, upset and moody at the very next moment. And all this in just the first month of pregnancy. Remember, pregnancy and eating food go hand in hand. You should be well informed about diet during pregnancy month by month. This is the time to eat healthy, nutritious and wholesome diet. In fact, there should be a right balance of carbohydrates, proteins, fibre, minerals, vitamins etc. Growing baby needs extra calcium, iron etc. You must focus on eating foods rich in these nutrients. Avoid junk food as much as possible because they have unhealthy saturated fats. Of course, this is the time when morning sickness, nausea, constipation, bloating will start to trouble you. But not eating anything for the entire day is a bad idea & not going to help for the growth of mother and baby. First month of pregnancy diet should include small daily meals. Plus enough amounts of fluids that can help with the nausea you experience in this month. Eating food at regular intervals in small portions is what you must do. This can be fruits, nuts, yogurt, milk, dry fruits etc. Also drink a lot of water to save yourself from dehydration during pregnancy first month. Today, I am going to tell you a quick fix easy recipe that you can make in high quantity and carry with yourself on the go. Take almonds, dried apple, raisins, and cashews. Place it in a big bowl and mix it all together. Pack this mix in small bags and carry them when you go out or are travelling. This will provide you extra proteins, vitamins, minerals etc. Make sure to keep easy, quick to make and nutrient-rich foods like these within reach. It will help to keep you and also your baby feeling good. Believe it or not but you don’t require extra calories during your first month of pregnancy diet. Though you must avoid some foods in pregnancy first month and even in later stages. 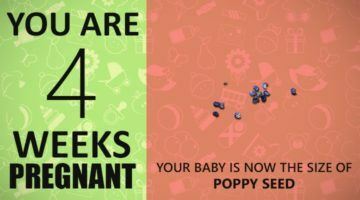 Just because they have a possibility to contain parasites toxins or bacteria that could harm your baby. Some of the examples include dairy products like soft cheeses, under cooked or raw meat, raw shellfish etc. We have sorted out a list of foods for the first month of pregnancy diet for you. This will enlighten you on how to care in pregnancy by eating right foods. Fruits are the ideal first month pregnancy diet and tops the pregnancy diet chart month by month. You must target eating fruits for 3-4 times a day. They are super foods which have little bit of everything present in them. Fruits does not have fats, making them a perfect choice for healthy pregnancy foods. They are also rich in water content, antioxidants, and some fruits even contain fiber. Eating fresh foods should be your first choice. Limit drinking not more than one cup of fresh fruit juice/smoothie. They contain natural sugars which can affect your blood sugar levels and can also damage your teeth. Include at least one citrus fruit in your first month pregnancy diet as they are rich in vitamin C. Also eat whole or chopped fruits like apples, oranges, bananas, muskmelon, avocado, pomegranate, guava, sweet lime and strawberries. You must aim eating 3-5 servings of vegetables each day. To get all the nutrients choose rainbow colored vegetables like Sweet potatoes, carrots. Pumpkins which are orange in colour, Broccoli, Radish leaves, coriander, Spinach which are green in colour. Corn and yellow peppers and Red peppers and tomatoes. Vegetables are rich in fibers and help in constipation. Also they are a great source of all the essential nutrients. First month of pregnancy diet must include protein rich foods. Include fish, lean meats, poultry, and eggs in your diet. For vegetarians have Beans like kidney beans, garbanzo beans, also split peas, lentils, seeds, nuts etc. Meats are most of the times safe to eat in first month of pregnancy and even later stages except pork. Pork carries pathogenic microorganisms which can cause diseases. If it remains under cooked than it can pose as big health risk. Also it’s better to avoid seafood and shellfish since they have methyl mercury which is bad for foetal development and can even lead to miscarriage. Limit your portions of fish to 1-2 per week in diet during pregnancy month by month. If you area able to digest milk than it is an amazing source of vitamins, calcium, folic acid, proteins and vitamin D. Eat Yogurt and hard cheese as well since they have equivalent nutrients like milk. If you get bored to drink milk, try to play with the flavors by adding some fruits or by adding any supplements to increase the nutritive content of milk. There are also healthier options of dairy products available in the market with less fats and sugar. They provide calcium required for the baby to grow and for bone development in pregnancy first month. Dry fruits : Almonds, Peanuts, walnuts etc. Green vegetables: Broccoli, asparagus, French beans, spinach are rich in folic acid. 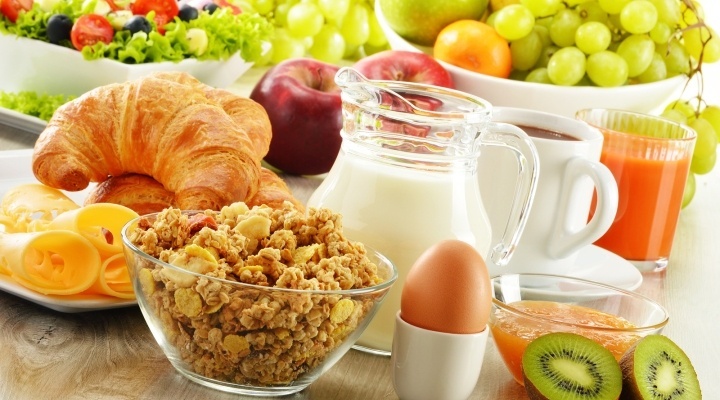 Breakfast cereals: Whole wheat flakes, cornflakes, wheat bran, Oats fortified with folic acid are a good option for breakfast. There is a higher production of blood during pregnancy and added pressure on kidneys to pump more blood to the heart. Iron is magical ingredient required by both mother and the foetus in the first month of pregnancy diet and also further. Eat foods like, Amaranths, leafy green vegetables, beetroot, Chicken, mutton etc. This particular vitamin B6 is important in the first month pregnancy diet. Vitamin B6 can help in controlling vomiting and nausea. Morning sickness is the biggest issue every pregnant women feels. So its good to include foods having Vitamin B6 such as bananas, salmon, whole grains, DRY FRUITS, PEANUT BUTTER etc in your pregnancy diet chart month by month. How to care in pregnancy when it comes to eating seafood. Some fishes like Shark, swordfish, shellfish contain large amounts of mercury, which can affect foetal nervous system. Tuna also has presence of methyl mercury. So it’s better to avoid them or eat in very small portions. During the first month of pregnancy, women hardly know that they are pregnant. So limit your seafood intake when you start trying to conceive. Oysters, prawns may contain bacteria and viruses. Sushi sold in shops is also not very safe. So it is better not to take a risk in pregnancy first month. How to care in pregnancy when it comes to eating cheese? Soft cheese is generally made from unpasteurized milk. It is a carrier of pathogenic microorganisms which can cause diseases. Though the manufacturers make a lot of promises regarding the quality of processed foods. Its best to avoid them during first month pregnancy diet. We never know in what conditions they are manufactured and what is the level of hygiene maintained in factories. According to Food auditors processed and packaged foods have reported higher risk of food poisoning bacteria and can even be fatal. 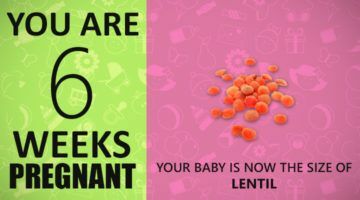 Though street foods are tasty and our favorites, there is no place for them in your pregnancy diet chart month by month. You can relish your favorite chaat after a few months. The hygiene level maintained is very poor in street foods and can pose a higher risk to your health. Also the water used in cooking food is not pure. No doubt, it is a change of taste, but avoid eating them in first month of pregnancy diet and even further. Coffee changes your mood and lifts you up for some time but is very harmful when you get pregnant. Don’t have more than 200mg of caffeine a day. That comes to about 2 mugs of coffee. Energy drinks and carbonated beverages also contain caffeine so check the labels of these before buying them. Instead, have homemade nutritious drinks like nimbu pani, lassi, fruit juice, aam panna etc. Alcohol in first month of pregnancy diet can pose serious effects on your pregnancy. There is no safe level of alcohol during pregnancy first month so it’s best to avoid it. The more you drink, the more you are putting your baby’s life at stake. 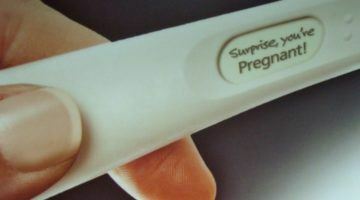 Believe it or not but you need extra 200 calories in the last three months of your pregnancy to help the growing baby. 1 bowl of salad with greens and your favorite vegetables. Your appetite will fluctuate throughout your pregnancy. So if you are not feeling hungry after your last meal, don’t force yourself. In the first month pregnancy diet, because of morning sickness you will see a dramatic fall in your appetite. But it will rise eventually after first trimester. You may eat rice crackers, bland plain khichdi to help your taste buds with your morning sickness. Try to eat small portions of frequent meals after every 2 hours rather than your regular three course breakfast, lunch and dinner. Eat organic foods as much as possible. There is a lot of evidence that the minor levels of pesticides and nitrates present in vegetables, fruits, cereals can affect the foetal development. So go organic, it may cost you a little extra but will be very helpful. Your gynac will also prescribe you some multi vitamin tablets to make sure you get all the source of nutrients possible. Finally, pregnancy diet chart month by month doesn’t mean that you will have to give up on all your favorite foods. Eat everything in moderation and avoid foods having high concentration of Salt, Sugar and fats. Eat a sandwich or salad instead of picking up those potato chips or chocolate pastries. Aim to eat regularly after every 2 hours because even if you are not hungry, chances are that your baby is. Eat smaller but more frequent meals if you think morning sickness is taking a toll on you. Eating healthy foods is good for you and also the baby. So if you have been always the junk food or fast food lover, change those habits for your baby and start with a healthy first month pregnancy diet.